My new book, Hug Your Haters: How to Embrace Complaints and Keep Your Customers launches today and I need your help. If you haven’t purchased a copy yet (many of you have, thank you!) please do so today at Amazon. Through our consulting practice here at Convince & Convert, my colleagues and I discovered that customer service is being disrupted in the same ways and for the same reasons that marketing has been disrupted – mobile, Millennials, social media. There are hundreds of books on marketing disruption (4 from me), but Hug Your Haters is the first and only book about customer service disruption. But that won’t work in customer service. Why? Because you don’t think you need a book on customer service, do you? But you do. 80% of companies say they deliver superior customer service. 8% of their customers agree. So to help me convince readers that they needed to fundamentally change everything about their customer service and customer experience programs, I partnered with Edison Research on a massive study on the Science of Complaints. Just about everything in this book is backed up by serious research. These are facts, not suggestions. I started out to write a book about speed. My thesis was that speed is the killer differentiator in today’s right now society. But based on the research I conducted with Edison, I discovered that speed is important, but not most important. The most important element of modern customer service is just showing up. 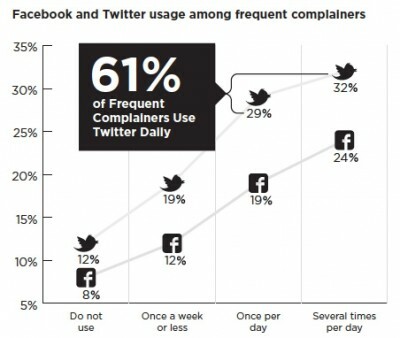 About 1/3 of all customer complaints are ignored today, and most of those are online and in public. That’s both a huge problem and an enormous opportunity. So, I wrote a book about how to make that work, for every business. Will you consider buying a copy today? Every copy of Hug Your Haters includes The Hatrix – a poster that showcases the most important data. And, the book includes a quick reference guide so you can easily refer back to the main points over time. I very carefully selected the examples, interviews, case studies, and research in Hug Your Haters so that it is relevant to all audiences. There are B2B examples and B2C examples. There are examples from US companies, and examples from around the world. There are big company examples, and small company examples. 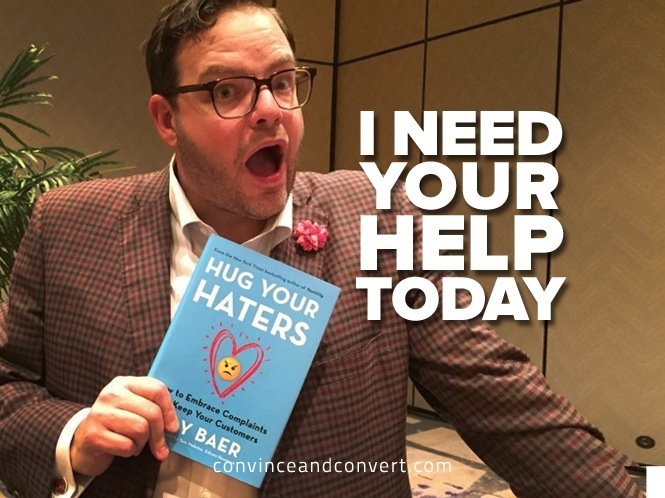 If you buy the book today and send me your receipt at Jay@JayBaer.com you’ll get access to a lot of great bonuses including $200 off my forthcoming Keep Your Customers course. You can also get a personal invitation to the amazing Hug Your Haters Facebook group that is already the #1 online community for customer service and customer experience. And there are a ton of other bonus content opportunities for you too. Go to HugYourHaters.com to see them all. I want to help you dominate customer service the same way I’ve been helping you dominate marketing for years and years. My team and I publish 600 blog posts per year, 250 podcasts per year, and 200 curated emails per year. All for free, and all for amazing friends, marketers, customer service pros, and business owners like you. Now, I need your help. Please buy Hug Your Haters today. If you buy the book and don’t like it, I’ll personally refund your money. Thank you as always for always having my back. I don’t take it lightly and I don’t take it for granted.